Arsenal have missed out on Luiz Gustavo after Wolfsburg agreed a 17 million deal with Bayern Munich for the defensive midfielder, according to the Guardian. Gunner’s manager Arsene Wenger said last weekend that he was interested in the Brazil international and has been looking for an able, defence-minded midfielder ever since last summer’s departure of Alexander Song to Barcelona. Arsenal valued the 26-year-old at 14 million but appear to have been unwilling to budge on that figure, allowing Bundesliga outfit Wolfsburg to usurp them for the player. The German club have been long-term admirers of Gustavo. And this latest set-back in the summer transfer market is one that only serves to pile the pressure on Wenger to make an eye-catching signing before the window closes on September 2. The French boss tried to sign Bayer Leverkusen midfielder Lars Bender earlier this summer but had an 18.5 million inquiry rejected. He was also interested in bringing in Toulouse midfielder Etienne Capoue, who is instead set to join North London rivals Tottenham. Meanwhile, Wenger has also been foiled so far in his efforts to sign a new striker. Real Madrid’s Gonzalo Higuain was at one point poised for a move to Emirates Stadium but opted for Napoli. And landing Liverpool forward Luis Suarez is also proving to be difficult, with the Gunner’s having had two bids for the Uruguayan rejected – including one bid of 1 over 40 million. Arsenal’s chief executive, Ivan Gazidis, claimed at the start of the summer that funds would be available for Wenger to spend on new recruits ahead of the start of the new Premier League season. But so far, France youth international striker Yaya Sanogo on a free transfer from Auxerre remains the only piece of business the London club have completed thus far. The post Arsenal Transfer News: Gunners Miss Out On Luiz Gustavo To Wolfsburg appeared first on WhatCulture!. Liverpool striker Luis Suarez has asked for permission to hold talks with Arsenal over a summer move to the Emirates, according to the BBC. The unsettled Uruguayan believed the Gunner’s offer last night of 40,000,001 triggers the release clause inserted in his contract at Anfield, allowing him to speak to his suitors. Liverpool however see things differently, and rejected Arsenal’s offer outright, though Suarez will inform manager Brendan Rodgers that he intends to speak with the Londoners. The Reds have now turned down two bids from Arsenal, who made an opening offer of 30 million on July 8. The Gunner’s resolve to sign Suarez comes as one-time target Gonzalo Higuain edges toward a move from Real Madrid to Napoli, and Arsene Wenger will now invest all his efforts in capturing the Liverpool marksman instead. Real also retain an interest in Suarez, but have thus far stopped short of making an offer. It is unclear if the American was referring to the Gunner’s attempts to sign Suarez or their valuation of the player. Red’s manager Brendan Rodgers recently suggested he values Suarez closer to the 55 million mark. Should Arsenal persist and have an improved offer for Suarez accepted, it would come close to trebling the club’s transfer record – the 15 million paid to Zenit Saint Petersburg for Andrey Arshavin in January 2009. The post Liverpool Transfer News: Luis Suarez Demands Arsenal Talks appeared first on WhatCulture!. Can Arsenal reassert their dominance at the top of the Premier League when they play host to Hull City in the Premier League on Wednesday, or will the Tigers record another famous win? Arsenal will be without Bacary Sagna due to a hamstring injury, with fullback Carl Jenkinson set to replace the Frenchman. Lukas Podolski is expected back in training this week following a hamstring injury of his own but this match will come too soon for the forward. Hull will be without Curtis Davies through suspension, meaning James Chester could make only his first appearance since September. Matty Fryatt is back in the squad after being recalled from his loan spell with Sheffield Wednesday. Arsenal have won eight of the last nine matches against Hull in all competitions (W8, L1). Hull were the first team ever to record a comeback victory at the Emirates, doing so in their famous 2-1 victory in September 2008. The Gunners have taken 36 points from a possible 48 (W11, D3, L2) at home in 2013, including 15 from 18 (W5, L1). Hull have won just one of their last 30 Premier League away games (W1, D7, L22) – 10 points from a possible 90. Szczesny, Jenkinson, Mertesacker, Koscielny, Gibbs, Ramsey, Flamini, Walcott, Ozil, Rosicky. Giroud. McGregor, Elmohamady, Chester, Bruce, Figueroa, Koren, Meyler, Huddlestone, Livermore, Brady, Sagbo. Arsenal look as though they’re going to stay top of the tree in the run-up to Christmas, but face a busy winter schedule that will test those credentials, starting tonight against Hull. The visitors come into this game off the back of a sensational 3-1 victory over Liverpool, and will be looking to claim another scalp at the Emirates. Since promotion, Steve Bruce’s side have shown the pluck and steely determination needed to survive in this league – and they will need to show those qualities tonight if they are to take anything off Arsenal. The Gunners too are in a good run of form, impressively beating Cardiff 3-0 at the weekend – no mean feat, that – just ask Manchester City and United, who both floundered in Wales. Arsenal have won eight of the last nine matches against Hull in all competitions and I expect that streak to continue here – though Hull may not be tamed as easily as the Bluebirds were at the weekend. The post Arsenal vs Hull – Team News, Match Preview & Likely Line-Ups appeared first on WhatCulture!. Arsenal may be flying high at the top of the Premier League, but manager Arsene Wenger must be aware that his side are worryingly short of strikers. The injury to Lukas Podolski, ruling him out until the New Year, has balanced the Gunner’s pursuit of success this season on a knife’s edge. An injury to the in-form Olivier Giroud, for example, would leave Wenger with no choice but to start out of favour Nicklas Bendtner, or deploy Mesut Ozil in a false 9 position. The club’s injury crisis means they are also without Theo Walcott and Yaya Sanogo, two men who could stand in for Giroud. This lack of depth in striking options invariably means Wenger will have to return to the transfer market when it reopens in January. Arsenal tried frantically to get a striker on deadline day, with a loan deal for Chelsea’s Demba Ba falling through with hours to go, but they will surely try again in the winter window for a new attacker. Stan Kroenke and the board have confirmed that Wenger will have money to spend in January, if he needs it, and with this in mind, WhatCulture looks at five strikers Arsene Wenger may look to purchase in January. The post Arsenal Transfers: 5 Strikers Arsene Wenger Could Sign In January appeared first on WhatCulture!. Though it’s all quiet on the transfer front for Chelsea in terms of incoming deals – despite whisperings of a late deal for Wayne Rooney coming on the back of Jose Mourinho’s claims that managers can lie to the media to hide their intentions – they are on the verge of sanctioning another outgoing deal. With Victor Moses sent out on loan to Liverpool for the season, and a raft of attacking options supplemented by the signing of Willian, and Porto’s striker Christian Atsu, who will spend this season on loan at Vitesse Arnhem, Demba Ba has been pushed down the pecking order after just a few months as a Chelsea player. And his likely destination, according to two of the country’s biggest football journalists is Arsenal, who have so far stolen much of the final day focus with their big money move for Mesut Ozil from Real Madrid. Should Chelsea be giving one of their chief rivals the opportunity to bolster their attack? If Mourinho is so keen on letting Demba Ba leave, he would surely be better off blocking a move to a direct rival and allowing Ba to move either to Roma, who have been linked with interest, or to Newcastle, who are perpetually linked with re-signing the striker they allowed to leave back in January. 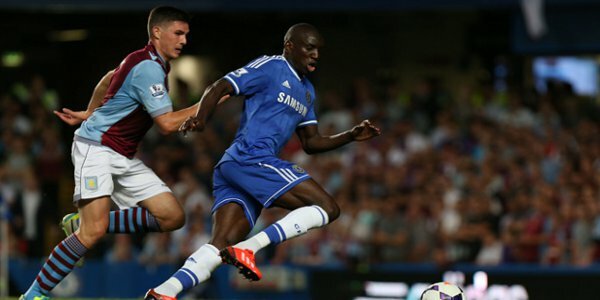 The post Chelsea Transfer News: Arsenal Close To Signing Demba Ba appeared first on WhatCulture!.